Anything I need to look out for when buying one? I've never used one. I shouldn't need it for anything too heavy, normal toyota gas engines, random heavy objects around the house, picking up a transmission from the shipping place by myself, etc. I got one of the "Goodyear" brand ones from Sams club for $169 (I think). It has been great! It handled my 3VZE and 1UZ on the longest throw with ease. How many tons is it rated for? I think it is a 2 ton. It depends on how much boom you have hanging out. At the longest boom, it's 1/2ton. Shortest it's 2 ton. There are pin positions for 1 1/2 and 1 also. 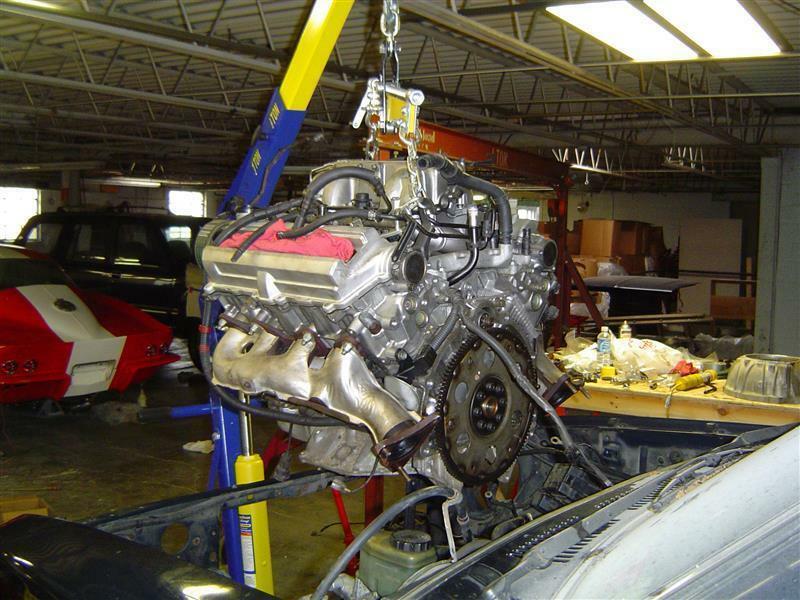 I don't have any pics of the hoist by itself, but there is likely one in my engine swap thread. This is the best pic I have with me. I can take better shots when I get home. I bought mine from Tractor Supply. I think I paid $129 for it. Same specs as Cebby's. Mine is red. That's ok, no pics necessary. Mine is from Harbor Freight, they are all pretty much the same. Just pick what color you want. How do you figure out the center point of an engine's weight for engine stand use?